Getting Up and Getting Back. Leadership and engagement are more than getting to the top or the mountain or achieving quarterly results. We need to come down from our heights and establish connections with others. Brotherhood of the rope. This site’s original focus was on strength based leadership. I have also written previously about the Brotherhood of the Rope. This was a concept used by Edmund Hillary about the physical and psychological connection between climbers. On mountains and life there is a curious intersection of results and relationships. 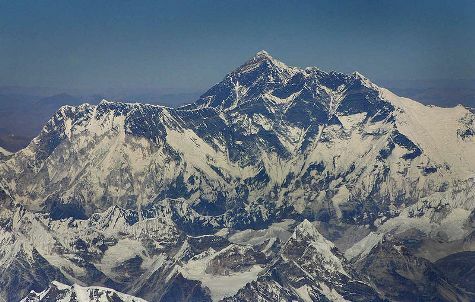 Hillary was appalled when 42 climbers achieved the summit of Everest yet failed to try and save the life of David Sharp in the spring of 2006. David died on the mountain. Dead Lucky. Two week later Lincoln Hall was rescued in some similar circumstances. I just finished reading Hall’s book, Dead Lucky: Life After Death on Mount Everest. Until reading this book I never realized how much was entailed in Lincoln getting down from Everest including being bullied and beaten, fighting terrible frostbite, and warding off hallucinations. It could take hours to move inches. Loss. In his own words: The day I climbed Mount Everest was the day I died. I lost my life, the tips of eight fingers, a toe and a half, thirty-seven pounds, and two-thirds of the energy I need to live in my normal fashion. My habitual responses to everyday issues were deprogrammed. I found myself holding fewer opinions when I realized that they only created dichotomies, and the next step from there is judgment. Too often we judge when we have no need to do so, and just as often we ignore…What I do have is a stronger feeling of the unity of which I am a part…I am just as fallible and imperfect as I have always been. Hall-way learning. Hopefully none of us will ever have to go through Hall’s ordeal but by reading the book and thinking about our own lives perhaps we can learn from his experience. I encourage you to read the book to draw your own conclusions. One step. I hope it might contribute to a combination of more sensitivity and tenacity, fused with an appreciation of complexity. This would also be wedded with the reality that ascending or descending is done one step at a time. Gumption. My conclusions from reading the book were a further confirmation that everything is more complex than it seems, we often only get half the story, it often isn’t over when we think it is over, yet we can accomplish much when we don’t give up and we encounter others who are prepared to sacrifice to help us. Your question. How are you fusing relationships and results in your life, family, and work? As always, a great, thoughtful, and thought-provoking post. Thanks for sharing and keeping us all thinking about our lives, leadership, and the meaning of “it all”. Always good to hear from you. Keep up for fine work.